On Wednesday, Spotify sent emails to subscribers asking them to cancel their App Store subscriptions to the service to resubscribe on the web to avoid a $3 surcharge because of Apple's App Store policies. 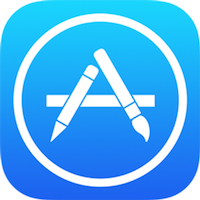 The Federal Trade Commission is now looking into Apple's policies, which include a 30 percent fee that it collects on all app and subscription revenue routed through the App Store, reports Reuters. U.S. government antitrust regulators are looking into claims about whether Apple's treatment of rival streaming music apps is illegal under antitrust law, according to three industry sources. The antitrust concerns stem from certain App Store restrictions placed on streaming companies, which include a prohibition that the company is on other platforms, a ban on advertising how users can subscribe on a company's website and the ban on links to the company's website. While users can still subscribe to the service of their choice outside of the App Store, avoiding the 30 percent fee for the respective companies, sources tell Reuters that many users do not realize its an option. That 30 percent fee reduces margins for those streaming companies in an industry with already thin margins and makes it difficult for them to compete, Deezer CEO of North America Tyler Goldman tells the news organization. The news also comes after the FTC and other government bodies began looking into Apple's efforts to set up deals with music labels. While the FTC is looking into the App Store rules, there's no guarantee they launch a formal investigation as antitrust lawyers that spoke to Reuters were split on whether Apple is breaking the law. This isn't the first time Apple has gotten in trouble for its 30 percent subscription cut, as it landed in hot water with the Department of Justice during the e-book price fixing case. In June, it was reported that Apple was considering changing the 30 percent cut for media apps like Netflix, Hulu, Spotify and more. if you don't like the app store, don't put your app on it. To Spotify, deezer, etc. Grow up and get the F out of the App store if you don't like it. How about you do what Google Music does and don't allow in-app purchase and force your users to go to your site to subscribe. Now I really hope Spotify goes under, bunch of crybabies and scumbags IMO. Basically, this. That's like expecting retail stores to sell at wholesale prices? Why should this be any different? In before all of the complaints about how greedy and mean Apple is for setting up the App store ecosystem so that a bunch of people who had no opportunity to sell their ideas before could get rich. Apple's policies are the same for everyone, not just the rival music streaming companies. Google charges the same amount. Seriously, just force users to sign up online. Sheesh. The government needs to stay out of it and let the free market sort this stuff out TBQH. I hate when the government gets involved in picking winners and losers with the interpretation of the law. Apple's 30% cut is standard retail practice. The maintenance of such a HUGE app ecosystem alone is a HUGE expensive undertaking. The 30% covers the cost and offers Apple what is at best a slightly above break-even proposition. Apple has not done anything wrong to Spotify other than offer up more competition in the music streaming market seeing as Spotify's efforts to get users to stream their music have been unprofitable for pretty much everyone involved. The "free market" has ALWAYS been a government created and regulated entity. Without government intervention and control the supposed free-market would never exist. People need to stop listening to their favorite half wit political commentators and teach themselves the basics of economics before posting about things they do not understand. This story is about the FTC..... Cause could there possibly be an issue where apple has entered the streaming game, where the margins are extremely tight at 9.99 and it forces thier competition to pay 30% more? Just maybe ? Would you buy apple music for $9.99 or spotify for $12.00? With their tens of millions of users Spotify could just put up a print and poster advertising campaign explaining that any losers who want to sign up to Spotify now that Apple Music is out can do so online. Methinks they know they won't be getting many new users. Yea, Spotify should just fold, along with Pandora. Be careful what you wish for. All they got to do is put a notice in their app description in iTunes that they need to go to spotify.com to sign up. Or, say that subscription required in order to use the app. Not hard to do....well, maybe it is for spotify & Deezer. When I initially signed up for Spotify that's what I did. I had to go to their website. Big deal if it's a hassle for users. That is what they agreed to and were doing before hand. Now all of the sudden it is a problem for them. Spotify was happy to charge people the extra $3 bucks a month right up until Apple Music came out.